Turn your home garage into a personal filling station for your EV. AeroVironment’s EV Charging Station charges your EV in just a few hours while you sleep, enjoy a meal, or spend time with your family. 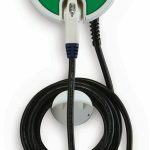 The Charging Station safely delivers AC power to your EV so you’re always charged up and ready to-go – featuring a weather-proof enclosure that makes it safe for both indoor and outdoor installation. A green light tells you when it’s ready and it automatically stops when it’s done charging. Plug and unplug safely without pressing any buttons. It’s that simple. The EVSE-RS works with all production battery electric vehicles on the market today, including: Nissan Leaf, BMW i series, Chevy Spark, Fiat 500e, Ford Focus Electric, Kia Soul EV, Hyundai Sonata Plug-In, Mercedes B-Class Electric Drive, Mitsubishi i-MiEV, Smart Electric Drive, Tesla Model S, Tesla Model X, Volkswagen e-Golf, Chevy Bolt, Tesla Model 3 and more! I bought this for my Kia Soul EV and it’s worked great so far. Have had it for about 6 months. Charges quickly, simple to use and install, no complaints.